Employee benefits are only as limited as your imagination. Want to offer free screaming goats to every new employee? Go for it. How about unlimited tacos on demand? Why not?! If you think it’ll help, and can convince your executive team that it’s worthwhile, you can have whatever corporate perk you want. The same rule applies to voluntary benefits. The sky is the limit. Except those are even better, because the company really isn’t on the hook for much, financially. Why not offer a gigantic laundry list of voluntary options? Why not give everyone exactly what they want by offering every option possible? It’s tempting, but you’re better off being a little picky and selective with your voluntary benefit offerings. It’s better for you, your staff, your employee’s sanity, and your future employees. Let’s be honest: benefits, and insurance in particular, are just confusing to most people. Think open enrollment is hard on you? According to Jellyvision, 41% of employees feel the open enrollment process at their company is extremely confusing. It’s probably not a good idea to give them a lot more to try to comprehend. You ever go into a restaurant with a massive menu, featuring dozens of entrees across a variety of cuisines? It's hard not be skeptical of that restaurant's ability to keep all those indredients fresh, and make all that food on demand. At some point, they're probably just nuking frozen dishes, right? Scarcity, with a focus on mastery of a select few items, will alwyas produce better results. This applies to your "menu" of voluntary benefits as well. The more options you offer, the more vendors you’re going to have to work with. At some point it’s impossible to maintain quality. Why does quality matter? As we’ve said before, your benefits are an expression of differentiation. Most workplaces are the same, compensation doesn’t vary too wildly...but benefits are your chance to be unique and creative. With voluntary benefits, you’re placing your company’s stamp of approval on a third party. 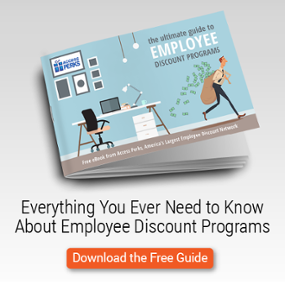 They may be free or cheap, but if you’re not careful they could damage employee engagement. Perception matters a great deal to employees. Besides questionable vendors, there’s also the risk of appearing to be trying too hard, or of skimping on employer-paid benefits. We’re big proponents of relying on your vendors, but they’re not going to be able to save you the messes caused by a huge laundry list of benefits. Eventually, it’s going to be you stuck trying to explain the options to everyone. According to the IFEBP, 80% of organizations report low benefits knowledge due to participants not opening/reading materials. Imagine the open enrollment meetings. On the bright side, carrying around a thick benefits manual could make for an effective component of a health and wellness program. Compliance. Performance. Payroll deduction. Taxation. 59% of employers are overwhelmed by the task of managing benefits, according to a Guardian Life study. Even if you have a dedicated benefits staff, throwing in even another five benefit options would prove challenging. Good luck going beyond that. This is where “free” voluntary benefits suddenly become costly. They still require time and effort that could be best directed elsewhere. It’s tempting to go all-in on voluntary benefits. They’re attractive to executives because of the low price tag (though your CFO probably knows better). And they’re certainly an easy way to help employees get the specific services and benefits they need at a group-subsidized rate. But there’s a bigger cost. Too many benefits will be taxing to your staff and confusing to your employees. They put you at risk of an unclear employee value proposition, as well as create relationships with inattentive vendors. You’ll never be able to please everyone. So don’t even try! Voluntary benefits are best reserved to enhance your core benefits and help employees deal with specific situations, like disability or life insurance. Carefully curate a list that fits the needs of your workforce, provided by reliable, attentive vendors who know how to show a clear value proposition. If you want to get risky, try something new in your employee perks. Go for those screaming goats or oil paintings.